Canada is recognized all over the world for its high standard of life and the protection the offer to the rights of its citizens, including the right to privacy. It is no wonder then that people in Canada have the opportunity of enjoying unrestricted access to internet, without the fear of censorship or strict surveillance. This does not mean that users in this country are not exposed to eavesdropping or that they do not have to deal with geo-location limitations. However, it does explain why the vast majority of VPN providers count with servers in Canada. 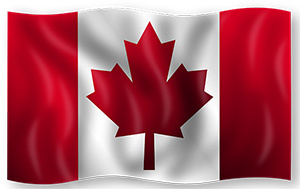 Since Canadian residents have the freedom to visit websites without constraints, it is natural that users in other countries that do not have the same benefit, would want to connect to internet as if they were located there. This also applies for Canadians living abroad that wish to watch TV shows and enjoy websites that are not available in their new country of residence. As for customers located in Canada, a VPN can guarantee that their data remains anonymous. There are even top VPN companies that are based in Canada, which allows them to offer a no logging policy and to stay committed to keep your privacy protected. However, online privacy has become a real issue for the country, and mass surveillance programs in conjunction with the NSA exist and operate under the CSIS organization. Bill C-11 or Copyright Modernization Act was the one of the first of big changes affecting online users, telecoms and ISPs. Voted in unanimously by the Conservative party, the Liberal and National parties both voted unanimously against it due to inherent flaws that had not been changed from previous propositions. Due to the majority leading position of the Conservatives in parliament, the bill passed and immediately undermined the lawful protection of digital locks and encryption, as well as other negative impacts on rights holders. In essence, the act was intended to fight piracy, but filled the purpose of weakening online privacy and encryption instead. Bill C-51 has also been a threat to further online privacy rights being stripped from citizens if passed. Alarming reports of telecommunication providers handing government authorities unwarranted subscriber data with no restrictions. Hundreds of thousands to even over a million of subscribers had their data collected by agencies each year and with ever increasing demand. The CSEC was also caught red handed spying on travellers using the airport’s public Wi-Fi. Using a VPN is a good and major first step to protect yourself both on private and public networks. The VPN providers in this list offer servers in Canada but are not located there and cannot have any local authorities requesting for encrypted data keys. If privacy from the CSEC and NSA are prime concerns, you should also avoid providers in the United States. As for general security of your information and flexibility to surf internet, providers located in any country would do. PureVPN maintains a top place as a satisfactory options for users that want to use a server in Canada or for users in Canada that wish to enjoy a versatile and secure internet experience. Using VPN is simple, not only because their service is easy to use but also thanks to their detailed tutorials. Their network of over 30 servers is remarkable as they offer a wide selection of locations that you can choose from. They have servers in 45 countries and in Canada, they count with servers in Quebec and Vancouver. You can use their service in up to 5 devices with the same account. Golden Frog, the company behind VyprVPN are also responsible for Giganews, one of the most recognized Usenet services. This association enhances the prestige of VyprVPN and also explains why they are such a trustworthy option when it comes to VPN services. The speed that you can enjoy with VyprVPN is impressive and you can choose from a large selection of servers locations. The Chameleon technology that effectively avoids firewalls and ISP blocks, amongst other obstacles, also offers enhanced security for your data. In Canada, they have servers in Toronto and with the dynamic switching option that prevents overloaded or unavailable servers, your connection will run smoothly and without interruptions. Not only has servers in Canada but BTGuard also has its headquarters there. The company has a limited choice of locations as at the moment, it only counts with servers in Canada, Singapore and Netherlands. However, this basic network allows them to cover three continents and provide access for users all over the world. Their service is easy to set up and to use and they support OpenVPN and PPTP. They have a service dedicated to disguise your IP for torrent downloads, as well as a comprehensive VPN service to secure the data you send and receive online. While their speed needs a boost, they have a strong no logging policy that ensures that your anonymity is protected at all times. With IPVanish you get an impressive speed, making it an ideal option for streaming videos and music. You also get to access their extensive network of servers, which they control themselves and that allow you to enjoy a steady connection. No matter where you are located, with over 135 servers you can find one that is near you so the speed and performance will be ideal. You can ensure that confidential data is protected by transferring it through a secure tunnel with 256-bit encryption. With servers in 10 countries, including Germany, Sweden, United States, Romania, Netherlands and of course, Canada, Private Internet Access offers a solid option to enjoy a secure connection and the flexibility of accessing online content without any restrictions. While the number of locations offered is not as extensive as what the competition can offer, you can change your IP address whenever needed thanks to their dynamic IP feature without extra charge.